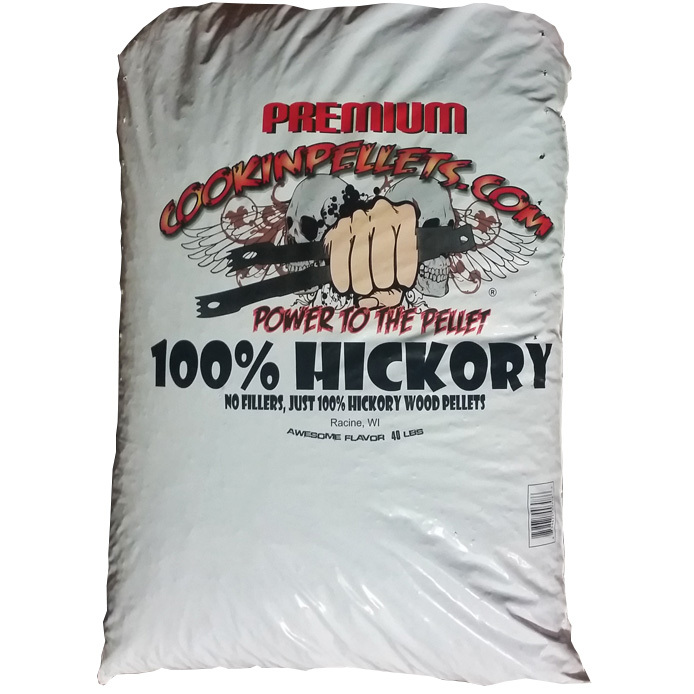 100% Hickory Pellets, all clean hickory. No Bark, no filler woods like oak or alder and no flavor oils. Just 100% hickory. There is no lesser grade woods used! Just 100% hickory!